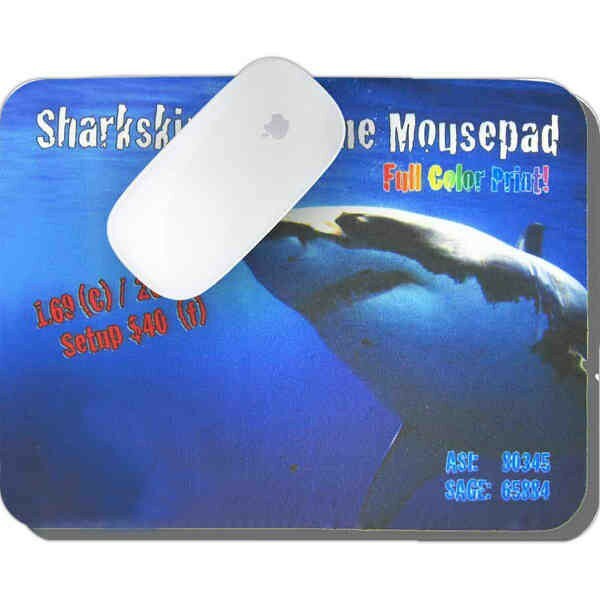 Make your brand a part of their everyday tech routine with this promotional mousepad. Make your brand a part of their everyday tech routine with this promotional mousepad. It's made using 6mm neoprene and features sharkskin on the back for a secure grip on hard surfaces. Add your organization's name, logo and advertising message in full color, full bleed imprinting to complete the promotional look. Put your brand in the hands of a wide and growing demographic of everyday tech users with this promo today!